A trip to Bali is your chance to experience, without any exaggeration, a true paradise on Earth. This enchanting Indonesian Island is not only home to some of the most stunning natural feats in the world, but also a historically rich and intriguing culture that continues to thrive in the face of mass tourism. Expect your holidays in Bali to be a tropical getaway like no other. An absolute must-visit for all travelers to Bali, Tanah Lot is a rocky island where you will find an ancient Hindu temple, one of the most significant religious sites on the island. This spot is especially popular for watching spectacular Balinese sunsets — one of the top things to do in Bali. Tucked away on the southern coast of Bali, Nusa Dua is an area geared to visitors who enjoy the finer things in life. Home to several 5-star luxury resorts and gorgeous, golden-sand beaches, Nusa Dua is a hedonist’s dream destination. Bali also boasts some of the most coveted surfing spots in the world. 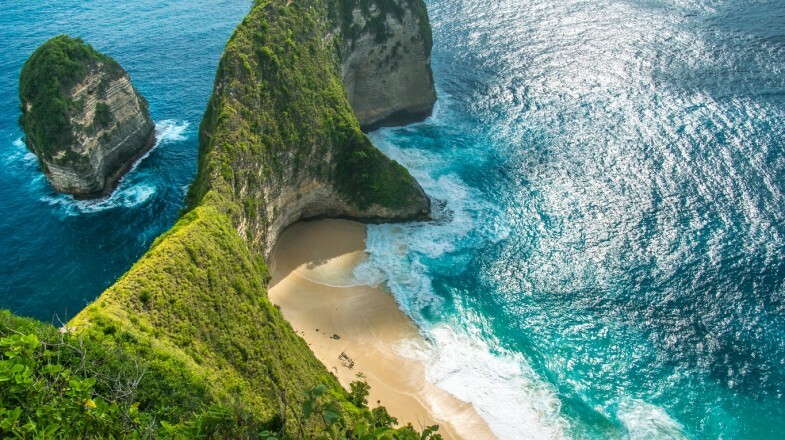 Among the best beaches in Bali for catching the waves are Uluwatu, Padang Padang and Bingin. Bali Sarafi and Marine Park is an open zoo, where you can see over 60 species of wildlife brought in from four continents. To experience Balinese exciting cuisine like a local, head over to your nearest warung. At these roadside family-run business, you will have a chance to try authentic Bali dishes without hurting your wallet. Check out some of the best and affordable food tours in Bali as well. When visiting temples and other sacred sites, make sure you are dressed modestly. Bali’s climate is characterized by two seasons, wet and dry. The high season takes place in June, July and August, when there’s usually no rain and the weather is sunny. However, if you want to avoid the crowds and get a better deal on accommodation prices, opt instead for May or September, when the weather is still dry and hotels aren’t as packed.